Our Maribel Gathering Table is a handsome country-style table that combines a strong urban aesthetic with modern minimalism. 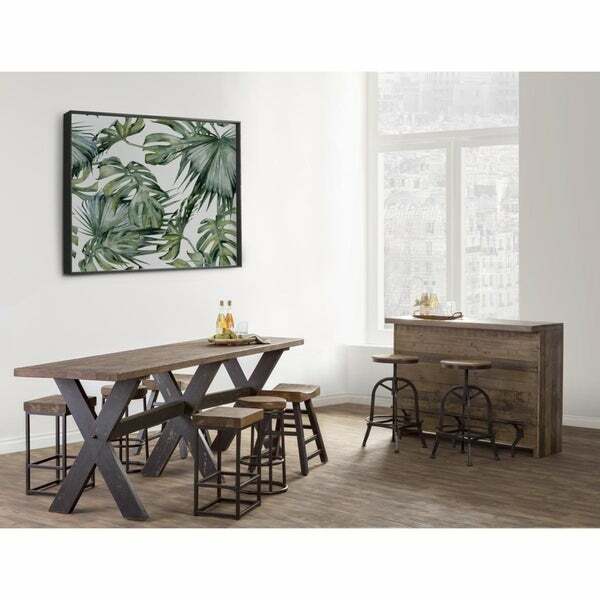 The weathered trestle base compliments the raw appeal of the reclaimed pine wood top and adds to the unfinished yet refined appeal of the table. With its ability to accommodate a gathering of ten people, the Maribel offers both style and functionality and would uplift the decor of any home. Dimensions 27.0 In. X 118.0 In. X 36.0 In.